Charlie, the emotional violinist, flees to a gipsy camp, only to find himself playing for an abducted girl. Soon, a unique birthmark will pave the way for an unexpected rescue and a marvellous new life. But, will she forget him so easily? 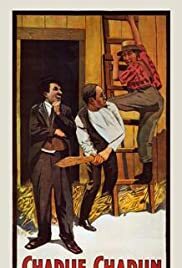 Charlie plays a tramp, who, after saving a farmer's daughter from thieves, is given a job on the farm as a reward. Charlie later manages to thwart the same bandits who try to rob the farm, but he is accidently shot in the process by the farmer. Charlie basks in the attention of the farmer, and his daughter, until the girl's boyfriend arrives. Knowing he doesn't have a chance with the girl anymore, Charlie leaves, walking down the road alone. "The Tramp" was made for Essanay, who gave Chaplin his second film contract in as many years and much greater creative freedom than he previously enjoyed under Mack Sennett at Keystone. Despite claims to the contrary, this film was not introduction of Chaplin's famous tramp character. That character was actually born in Chaplin's second film for Keystone "Kid Auto Races in Venice." This film was, however, an important step in the development of the tramp as a character, and for Chaplin as an artist. With his failed attempt to win the girl and his final walk, with his back to us, down the road, Chaplin made his first serious attempt to inject pathos and genuine human emotion into his comedies. In "The Tramp," he was laying the groundwork for future masterpieces like "The Circus." Sadly, aside from the dramatic elements, this isn't one of Chaplin's best shorts. The comedy isn't very original. He simply takes advantage of various barnyard props for the rough, rather mindless knockabout brand of slapstick he would soon evolve away from. This isn't a terrible comedy by any means, it probably as good if not better than the bulk of the comedies produced that year by his contemporaries. It simply doesn't live up to the standard he would set for himself over the next two years at the Mutual Company. Fans should definitely watch if they get the chance, but it isn't a good place for the uninitiated to start.